Hi lovebirds! Want to plan any surprise for your darling? 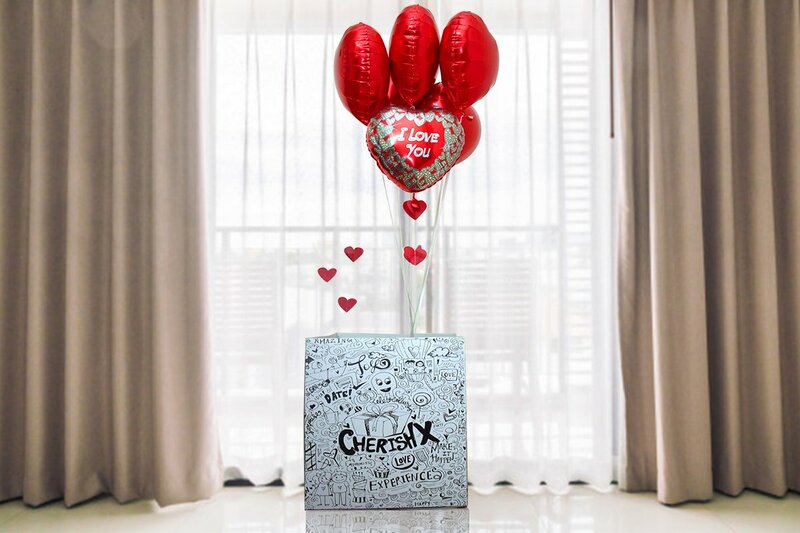 If yes, CherishX has curated a box of a surprise, especially for your loved one. 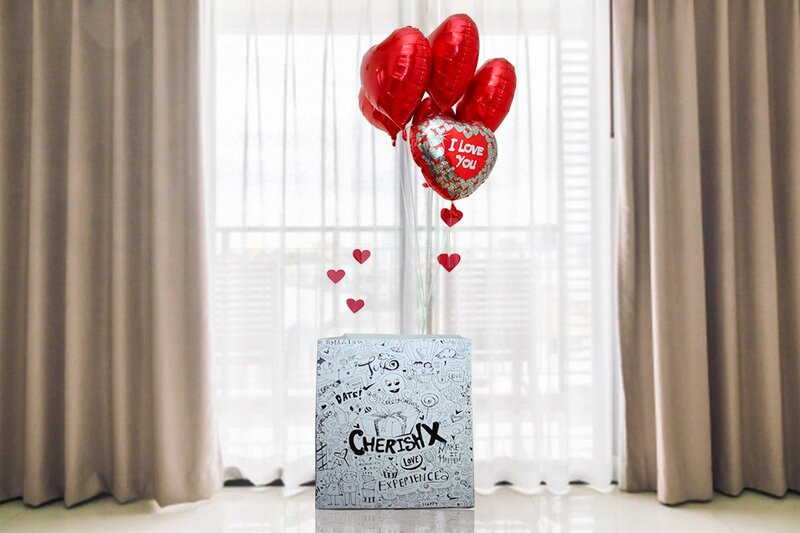 The surprise box consists of beautiful balloons- red heart shaped balloons, an I Love You foil balloon & cute little heart strings. Let them unbox love on the day of romance! 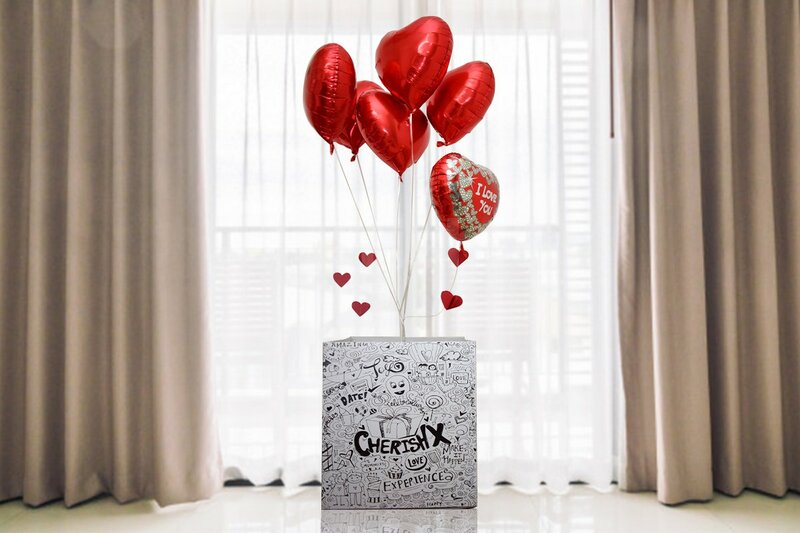 The love of your beloved will flow in rhythm as the balloons do in air when they open this box of filled with happiness & love. The heartstrings won't give a remiss in entangling the hearts of you both. The surprise box in itself looks so pretty & fascinating that no one can wait long to open it up. Customise your experience with us with add ons like a cookie box, cake, rose bucket, a personalised message card that will surely make the surprise even better. Check out now!